This is a post I put on Pisteuomen last Advent season. I hope you find it thought-provoking and helpful. Happy Advent! 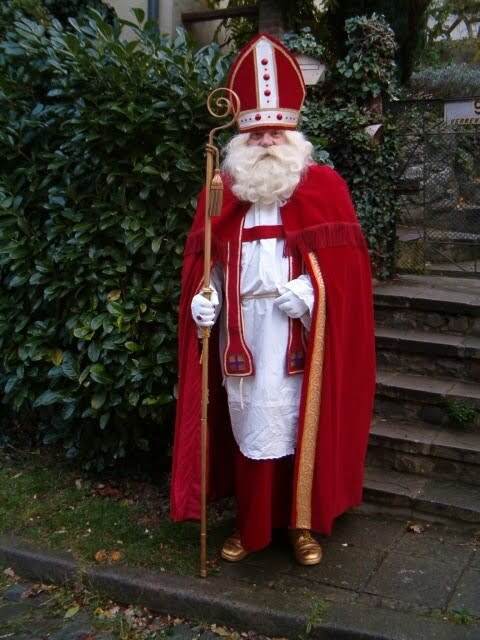 We don't think that the story of St. Nick is contrary to the story of Christ, instead, we see it as complimentary. If our child grows up knowing the truth about Santa as opposed only to knowing the myth, well, then she is in a better place for that because she may not have to endure the "heartbreak" of finding out that a mythological figure she believed in really didn't exist. This could even damage a kid's imagination and / or faith down the road. The fact is, Santa did exist and for us, that is something worth sharing. And really, it only compliments the story of Jesus, which really doesn't make it hard at all. 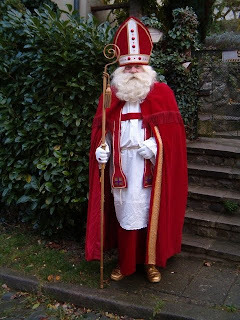 Probably, the toughest part is explaining that St. Nick "lived a long time ago" but isn't "living" today. That, then, brings up the issue of death, which is something much harder to explain to a kid than anything about a fictitious man (who, in America has had his identity totally made-over by the Coca-Cola company) who is making a list and checking it twice!